We make toy shelves, bookcases, rolling toy boxes, tables, chairs and lots of other items to help keep a child’s room neat and organized. 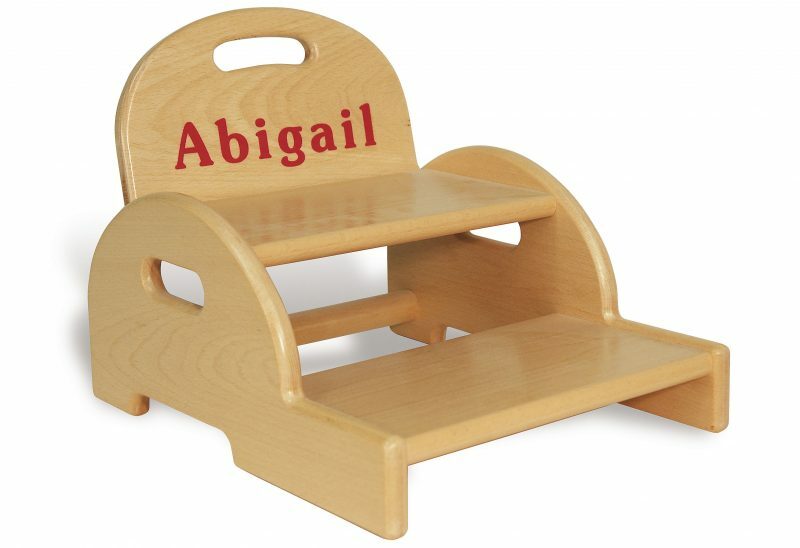 We also make personalized items for these rooms, which feature a child’s name either painted onto, or carved into, the wooden item, which makes a great addition to kids rooms and play areas. 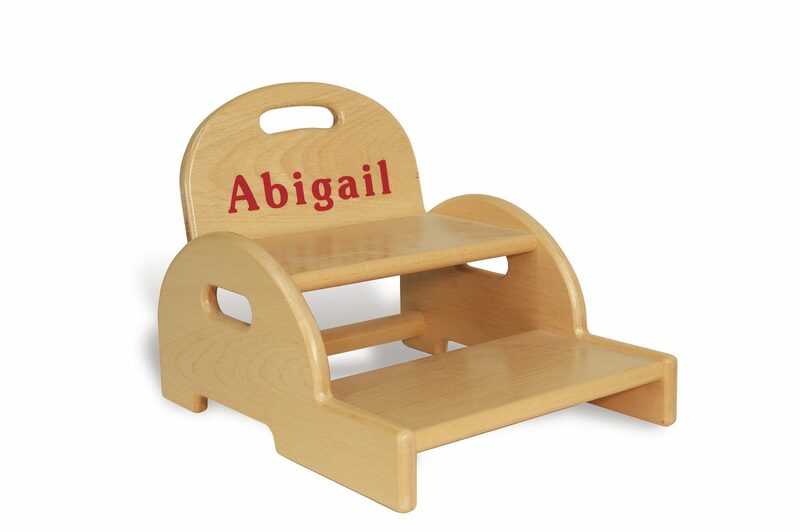 Furniture items that are personalized like the TAG Toys Toddler Step Stool do double duty by acting as a colorful nameplate for the child’ room or play area, as well as a functional chair for young children, and a sturdy step stool for children as they grow older. In addition to helping making the room feel more welcoming to the child, personalized items also act as a teaching aid for especially young children, that helps them learn how to spell their name. TAG Toys makes other personalized items for children’s rooms, like the Personalized Clothes Rack and Personalized Name Puzzle. This entry was posted in Babies, Childhood, Childhood Development, Children, Education, Infants, Kids, Pre School Kids, Toddlers, Toys, Uncategorized and tagged gifts, personalized toys, play room, recreation, remodeling.